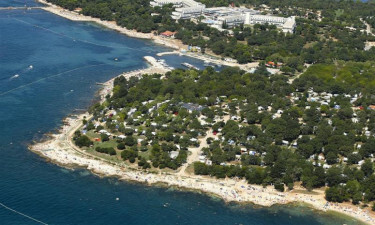 Situated on the western coast of Croatia looking out over the Mediterranean Sea, Zelena Laguna is a luxury camping site that comes highly recommended. Boasting all the amenities and facilities that you could possibly need for a perfect camping holiday, Zelena Laguna has something for everyone to enjoy. Book now with LUX-camp and enjoy camping luxury at its very best. Why camp at Zelena Laguna? For some exciting days out for the entire family, there are many opportunities to head a little further afield during your stay at Zelena Laguna. The kids will love the nearby waterpark, Aqua Colors, and the small but picturesque town of Poreĉ is within walking distance, where visitors will find a plethora of restaurants, shops and bars. 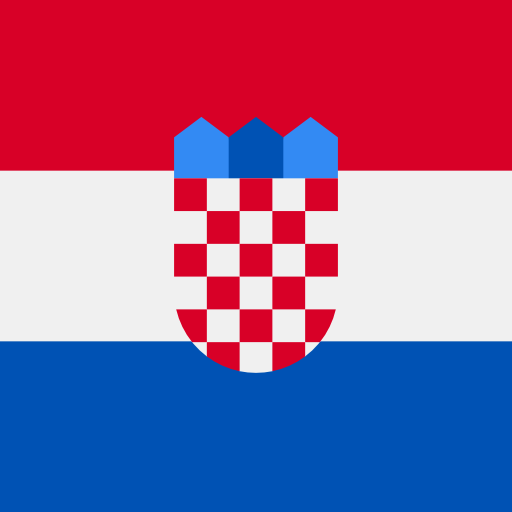 Hire a boat and head out to one of the many Brijuni Islands or take a trip out to Cave Baredine to gaze upon the impressive stalagmites and stalactites. This luxury camping village has such a wide range of activities to take part in that you can be sure that every member of the family will be entertained throughout your stay. The younger ones will enjoy the mini club that has a host of creative workshops, games and sports going on from morning until early evening. The older children will be thrilled with the various sports tournaments and action-packed competitions that take place on the beach and in the pool area. For the adults, there is a morning fitness class and an aqua-aerobics session every morning, and the evening entertainment is just as exciting. With beach volleyball, football, table tennis, mini-golf and an onsite bike hire facility, you can be sure to find something to keep you busy at all times. For those who love a day at the beach, Zelena Laguna is a great choice when it comes to luxury camping. The sandy beach overlooks the crystal-clear waters that are perfect for a spot of snorkelling, and there are 2 water slides for the little ones to enjoy. 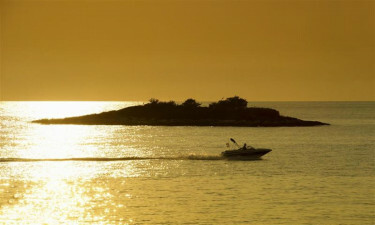 Hire a pedalo or head to the onsite scuba diving school if you fancy something a little more thrilling, or simply hire a sun lounger and soak up the sun while the children get involved in a whole host of sporting activities that take place on the sand. 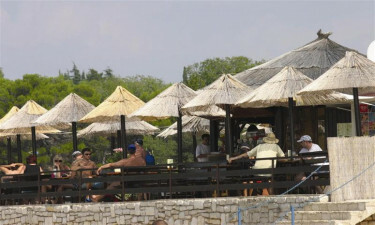 There is also a beach bar that serves drinks and snacks throughout the day. This highly acclaimed camping site boasts 3 restaurants that serve everything from local cuisine to international dishes and superb pizzas. Taking a night off from having to cook for the family could not be easier and the food on offer is simply delicious. Zelena Laguna also has an onsite cocktail bar where adults can go to enjoy to a few evening beverages before retiring to the comfort of their mobile home. For all those camping necessities, guests will find an onsite supermarket that stocks everything from bread and milk to toiletries and other essentials. There is also a souvenir shop and a newsstand for guests who like to keep up to date with local and international news.